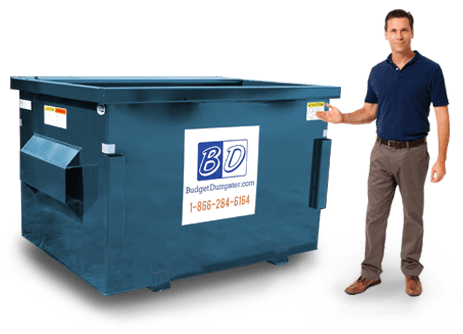 Finding the right dumpster for your business can be a hassle, especially when you don't know where to look. 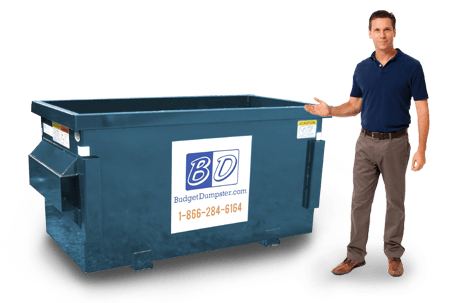 But if you are already here on this page, then you might be well on your way to finding the best fit dumpster company for your business. 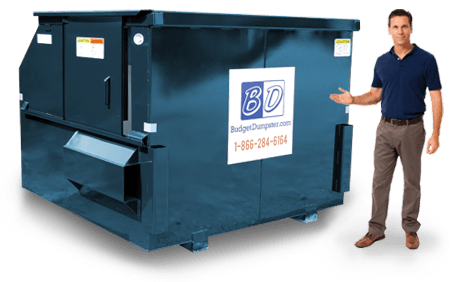 We here at Budget Dumpster provide a variety of commercial dumpsters for all sorts of waste streams, from industrial complexes to small corner bars. All you have to do is make the call and we'll be able to set you up with the right dumpster in no time at all. Every facet of our services is geared towards what's best for you and your business, a fact reflected in both our terms of service and our low disposal rates. You might not have high expectations for your commercial dumpster service if you just cancelled with your last hauler, but believe us; we can restore your respect for the waste management industry. Our team of service representatives have years of experience handling waste management operations throughout the country, so you can be assure that your daily, weekly, or biweekly pickup is in good hands. Give us a call today and we'll get you setup with a low-cost and quality waste disposal service. Sometimes, less is more. This is the case for you if you have a low flow of weekly trash, a limited budget, or a small space for the dumpster to be placed. So why get more than you need? Our 2-yarder is compact, but it still packs a lot of space. It can hold about as much as a 1-ton pickup truck. Small offices that employ up to ten people are generally a good fit. Other common users include small restaurants, shops, and other small retailers. This size is only three feet tall, which makes it easy to load whatever trash you have. The 4-yard dumpster is a great in-between size for those who want something that's not too big and not too small. It offers twice the volume as the smaller 2-yard dumpster, but it is still compact enough to fit just about anywhere for those who are tight on space. The sides are still low enough at 4 1/2 feet high that you can easily load up this dumpster with your weekly trash. Those who most commonly use this size include small retailers, medium-sized restaurants, and offices that occupy space of less than 5,000 square feet. The 6 yard dumpster is great for just about anything. 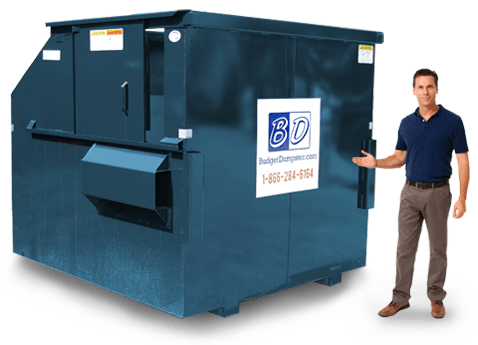 When you think of a permanent commercial dumpster, this is probably the size that first comes to mind, even if you don't know much about dumpster sizes. It's incredibly versatile. The 6-yarder could be perfect for you if you run a large office building, apartment complex, grocery store, large restaurant, or hotel. The average dimensions of this box are 6 feet by 5 feet with a height of 6 feet. Thankfully for us shorter folk, there's a sliding door to make loading easier. When you're looking for the biggest and the strongest of permanent commercial dumpster, the 8 yard dumpster is what you're looking for. The larger dimensions mean it will be able to take on your occasional bigger, bulky materials of up to 16000 pounds. This size also offers the sliding door feature with its tall 7 foot walls. It is best suited for the largest of office buildings, as well as manufacturing plants, warehouses, and shopping centers.